This shop has been compensated by #CollectiveBias , Inc. and its advertiser #PackedWithSavings . All opinions are mine alone. As we get ready for our annual end of summer BBQ, I am keeping two things in mind: coming up with delicious new recipes our friends will enjoy and keeping things under budget. Justin and I love entertaining but if we aren't careful things end up costing way more than we planned for. Since I refuse to sacrifice taste or quality when it comes to food for our parties, I usually try to use couponing to help keep our costs down. 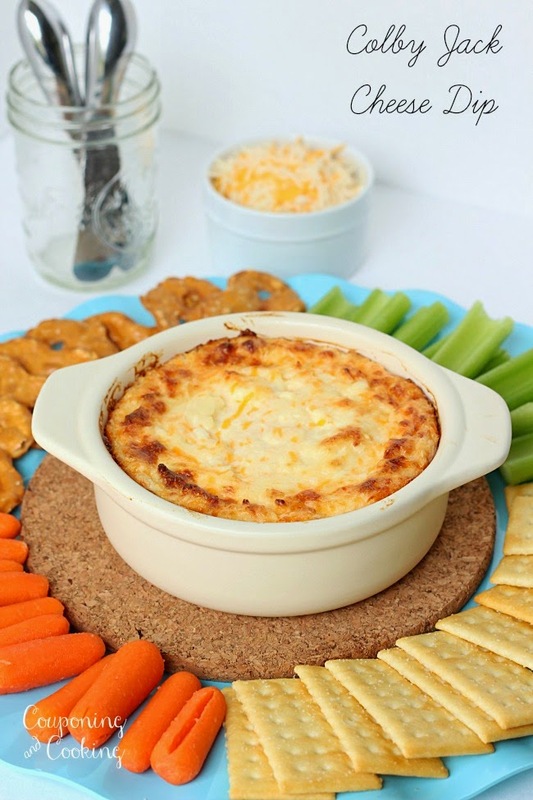 Our family loves a good cheese dip. In fact our family and friends love cheese in any way we could possibly serve it to them. 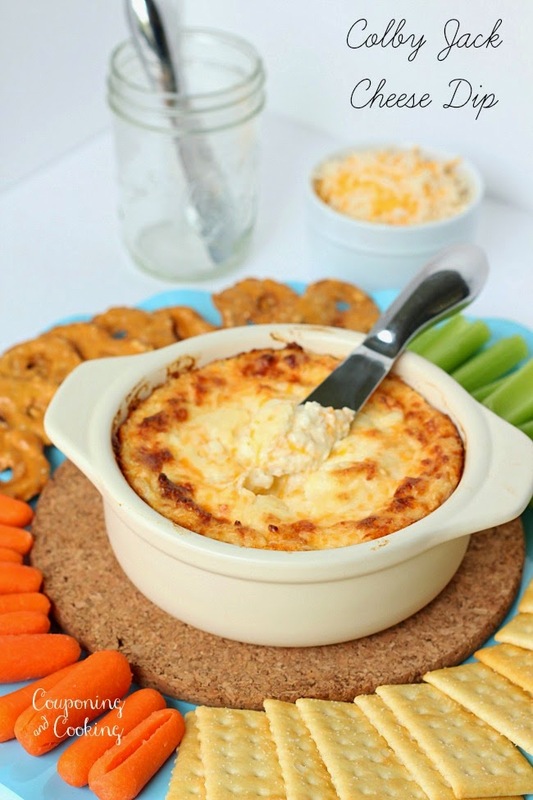 I usually end up making a tried and true family favorite, Swiss Cheese Bread Dip but this year I wanted to come up with something a little different. And so Colby Jack Cheese Dip was born. Not only does this dish satisfy any cheese craving you could possibly have but it is ridiculously easy to make. It can easily be made ahead of time (or even the night before) and stored in the fridge ready to bake whenever your guests arrive. 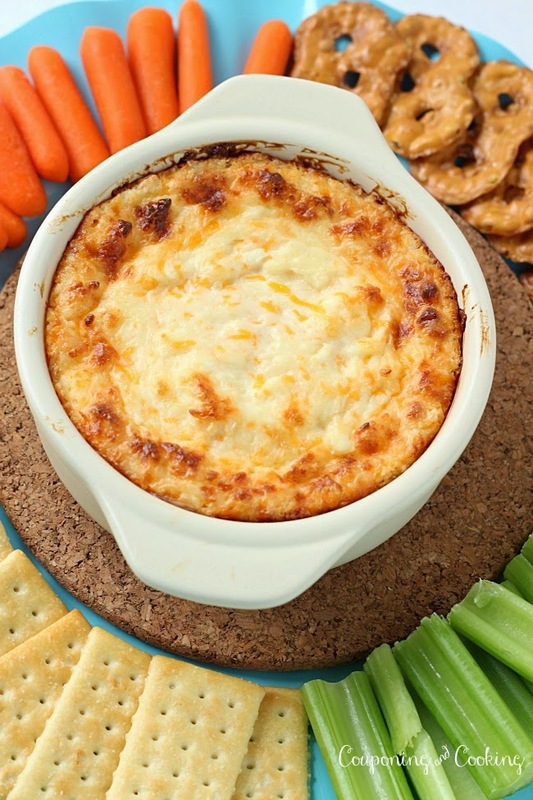 I think that pretty much anything would taste good dipped in this but I went with crackers, pretzel chips, celery and carrots as my dipping tools. You can always bake this in a bread bowl if you prefer that approach but I decided to keep it low key and bake it in an oven safe dish. Trying to keep your entertaining under budget? 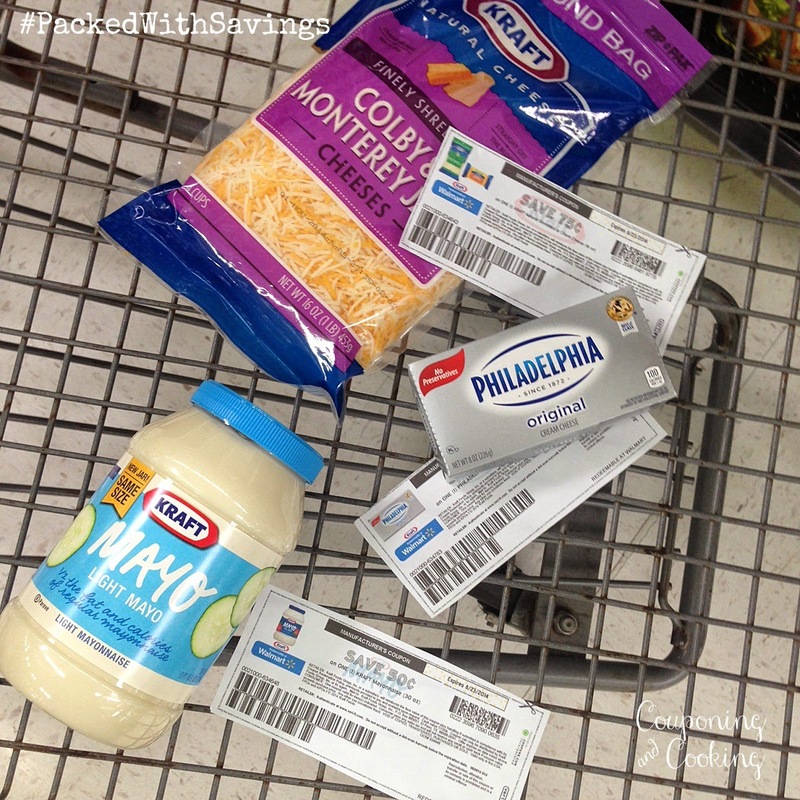 Kraft has some amazing printable coupons available right now to help you save on tons of great products. I was able to save $1.75 at Walmart using coupons for each of the three ingredients needed for this recipe. As always with printable coupons, keep in mind that they can run out fast so make sure to print the ones you want now before they run out. 1.) In a large bowl, mix all three ingredients together until completely combined. 2.) Place mixture in an oven safe bowl or a bread bowl if you prefer. Bake covered at 400 degrees for 15 minutes and then uncover and bake another 15 minutes until dip is bubbling at the sides and the top is golden brown. 3.) 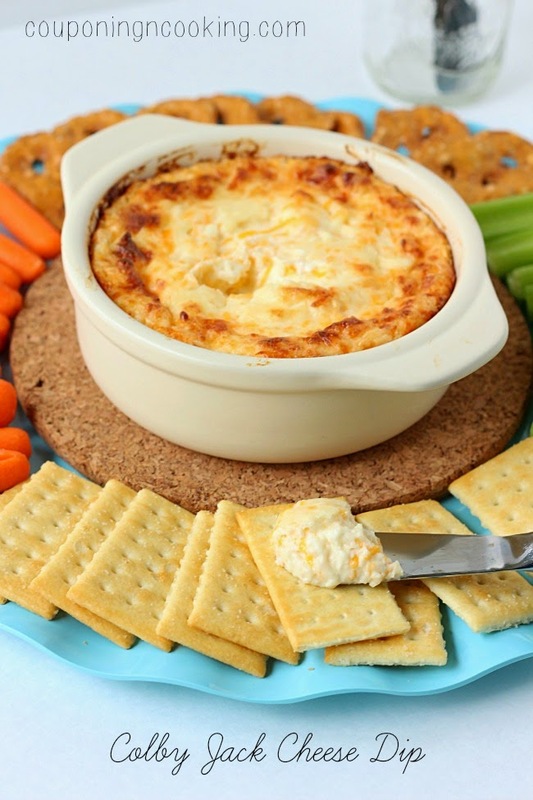 Let cool for 5 minutes before serving with crackers and vegetables for dipping. I'm going to be trying this.